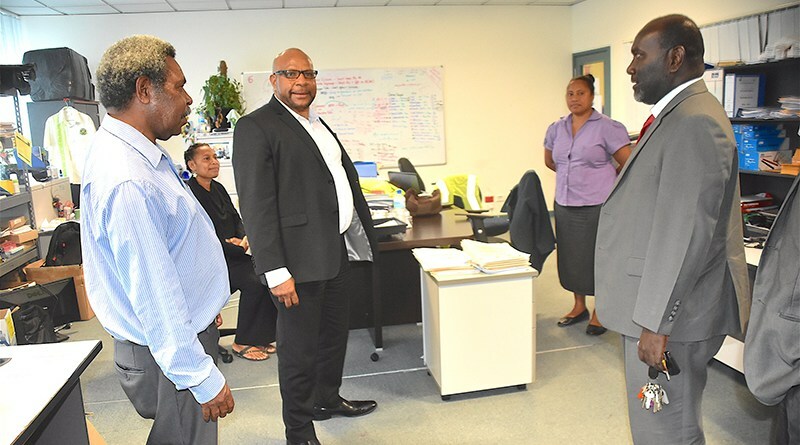 CHIEF Secretary, Ambassador Isaac Lupari, recently visited the PNG Customs head office and encouraged its officers to deliver more on revenue collection. 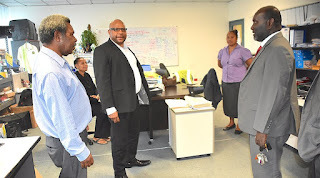 He told Customs officers that the successful delivery of the 2018 budget is in the hands of PNG Customs and Internal Revenue Commission. “The government wouldn’t have delivered its policies, programs and basic services to our people if you and IRC did not deliver the projected revenue in the 2018 money plan,” he said. “You and IRC are the most important government agencies in the public service. “The entire government and service delivery system is depended you and IRC performances. That is the truth,” Amb Lupari said. He said you and I know that it is therefore important that all of us work together to collect the required revenues. “The government has done its part by increasing your budget for 2018 by 32 per cent and IRC by 45 per cent,” he said. “In addition, in the past 3 years, the government has approved recruitment of additional staff including investment in capacity and skills upgrading. “Now we have to deliver our on part and that is to collect every kina and toea required for the 2018 budget. He said I want to challenge all of us to work together as a team, and as a family to ensure that expected returns are delivered. “I know that you know the challenges and also I know how hard you work every day,” Amb. Lupari said. He said we must continue to lift our performance so that we play our part in the development of our country and realize the delivery of services to our people. “Remember this! The lives of our people depend on you and I. If we do not do our jobs properly, our people will be affected,” Amb. Lupari said. He said we need to encourage each other so let us put aside our differences and work together to make 2018 a success.